The Schipperke temperament can be demanding for a newbie dog owner. The fact that his nickname is “LBD”, or “little black devil.” should give you a hint. 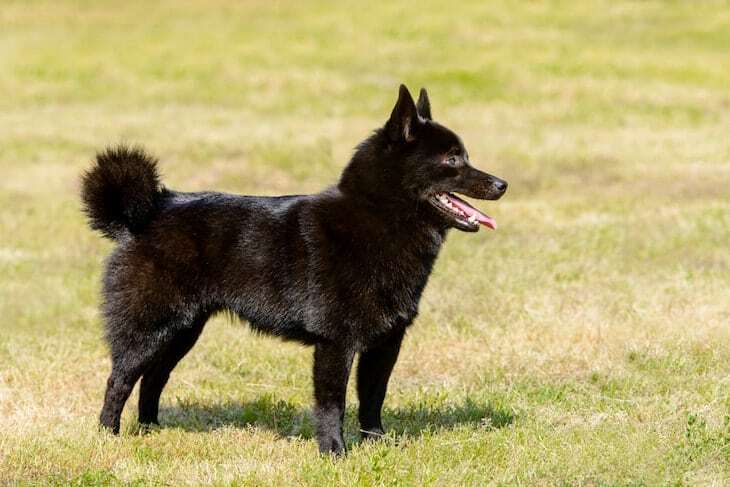 Something interesting about the Schipperke dog is that no one can agree on how to classify him. Some have trouble deciding whether he is a Spitz or a Miniature Sheepdog. In Belgium, the breed's country of origin, Schipperke dogs are considered small shepherds. However, the Schipperke is much more comfortable guarding and transporting flocks than he is on a boat. Schipperke dogs are great with cats and can do well with other dogs, provided they are socialized from an early age. They love children, which make them a great choice for a family pet. Schipperkes love barking so much that they will often bark to entertain themselves. Sometimes called a “Dutch dog,” but he has no connections to Holland whatsoever. 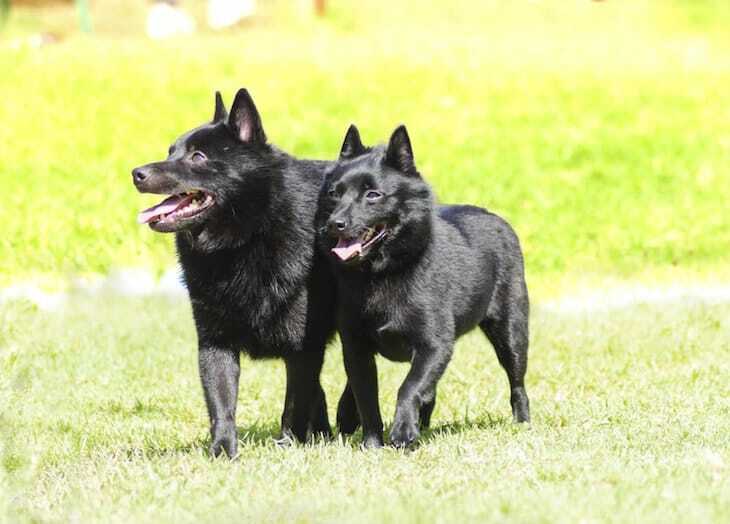 The first specialty show (in 1690) featured Schipperkes who wore hammered brass collars – the standard at that time. The Schipperke dog became a more popular breed after Queen Marie Henriette saw one at a show in Brussels in 1885 and fell in love with the breed. Because the Schipperke is confident, this means he is also rather independent. He's so independent, in fact, that he is not recommended for first-time dog owners. This is because he often likes to take charge. He will take advantage of you if you let him. Confidence and fearlessness can lead to a dog who loves to get into trouble. Active, active, active – the Schipperke never sits still. This can cause him to frequently put his nose where it doesn't belong. His love of mischief may make you crazy, but the Schipperke's faithfulness to you will encourage you to forgive him. The Schipperke is always on alert, which makes him an excellent watchdog. One thing to know about the Schipperke dog is that if there was ever a breed that loves to bark, it's this one. However, that's nothing that can't be fixed with a little training. It may drive the neighbors crazy in the meantime, though, while he's still learning the proper time to bark. While this is great for a watchdog, you certainly don't want to have a dog that regularly barks at nothing. Learn how you can train your Schipperke to stop unnecessarily barking. When training a dog that's as headstrong as the Schipperke, it is important to remain both firm and consistent. If he senses that you will allow him to walk all over you, he will. Be patient, and try to make training fun, but don't be surprised if he tries to outthink you. The Schipperke isn't too much of a handful when it comes to his care. While he may be smaller, his grooming and exercise patterns follow those of larger dogs. Schipperkes are a bit like Huskies in that they need weekly brushing and “blow out” their coats twice a year. During these blow-outs, you'll want to brush him more frequently to prevent your house from being entirely covered in hair. There is no need to trim his coat nor the “ruff” around his neck. As with any other breed, you'll want to trim the Schipperke's nails regularly to prevent discomfort. Also to include in his care are regular cleanings of his ears and teeth to prevent infection. At the very least, you should expect to walk a Schipperke 20 to 30 minutes every day. This is a breed that benefits from a challenge, so you may want to train him to learn certain dog sports. No matter where you go or what you do, this is a dog that must be leashed up. That's because his heightened sense of curiosity will encourage him to hunt small prey, like squirrels, mice, and rats. He also won't think twice about running off if he gets a whiff of a, particularly interesting scent. He's a spitfire this one. You have to keep your eye on him and be prepared to rein him in when necessary. While most Schipperke's are generally healthy, there are some health concerns to be aware of that affect this particular breed. Legg-Calve-Perthes disease – This is a disorder affecting the hips. Mucopolysaccharidosis (MPS) type IIIB – This is a condition that can cause everything from aggressive behavior and seizures to deafness and sleep difficulties. On average, healthy Schipperkes can be expected to live between 13 and 15 years. If you're interested in buying or adopting a Schipperke puppy, it's important to know what you're getting yourself into. Even if your heart is not set on a Schipperke puppy and an older dog will suffice you still need to do your homework. Read on to learn what to expect and how to find Schipperke for a reasonable price and with a healthy temperament. If you see a Schipperke for sale, and you're interested in purchasing him, you may be interested in knowing the average price so you don't get swindled. On average, the Schipperke price range lands somewhere around the $700 mark. However, Schipperkes who come from top breed lines or are of a superior pedigree fall into a wider range. For one of these “top tier” puppies, it's not unheard of for a breeder to charge between $1,200 and $4,300 per puppy. That's a hefty price tag to spend on a dog, so make sure you are working with a registered and licensed breeder before committing to the purchase. Rescuing and adopting a Schipperke is one of the most rewarding things you can do. However, when considering a Schipperke adoption, you must also consider the work you may have to put in. When you adopt a dog, especially an older dog, he may come with some baggage from the prior situation that landed him in the shelter in the first place. For this reason, it is imperative that you have patience with him and take as much time as is necessary to train him out of any bad habits he may have picked up. Read this article to learn how to assess the Schipperke temperament when adopting from a shelter. 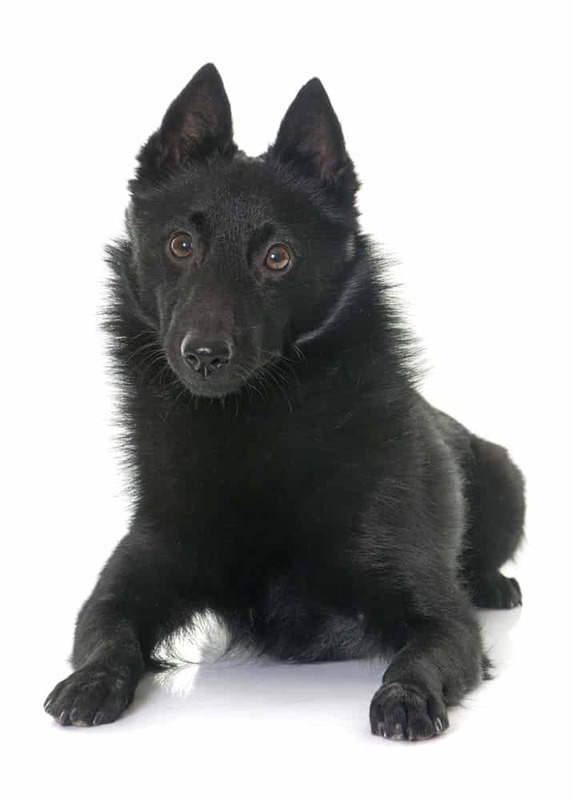 When speaking with Schipperke dog breeders, the first thing you'll want to do is make sure they have received the proper clearance before selling a Schipperke puppy. The breeder should have written proof that the dog has been checked for common health concerns, like eye disease and hip or thyroid issues. Make sure that all of your dealings with the breeder are put in writing before you spend your hard-earned cash and bring home your pup. You'll need to have both a lot of patience and a lot of love to handle the Schipperke. He can be quite a handful. He loves to bark almost as much as he loves to get into trouble. Being a herder by nature, he won't think twice about pursuing small prey. And he's pretty easy to groom, with extra attention being paid to his coat during his “blow-out” periods. Finally, remember he's not, easy to train. Be persistent and consistent. Make training fun, but be prepared for him to blow you off and do his own thing.